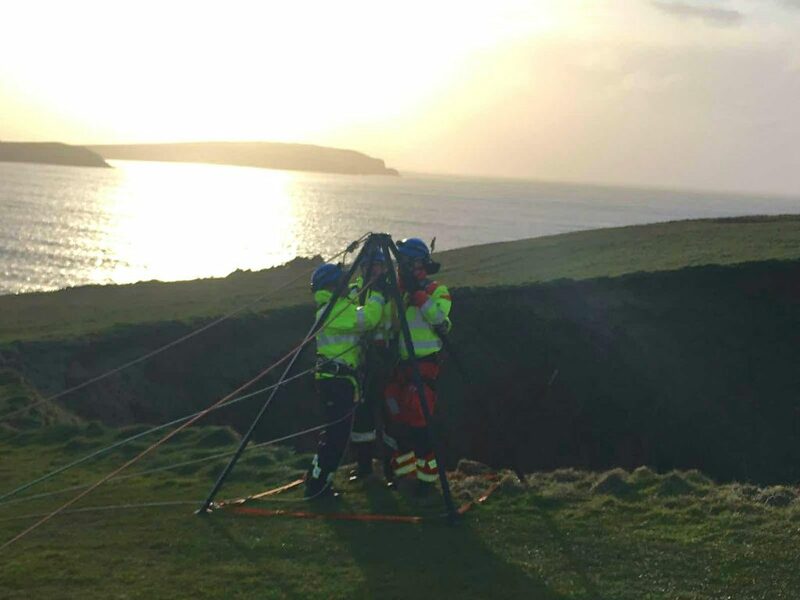 On the evening of Tuesday 3 April the crew were called to reports of a man who had suffered severe injuries after falling in an 80ft collapsed sea cave near Padstow. The crew were the first to arrive on scene and assisted in a complex rescue lasting several hours to retrieve the man who had fallen. Once on scene, the crew briefed the Padstow and Newquay Coastguard teams who arrived shortly after. 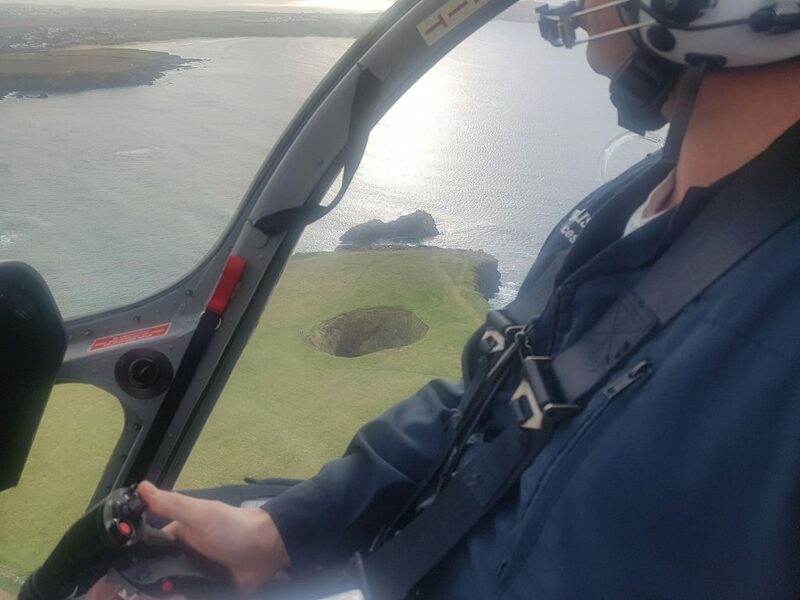 With the assistance of the Coastguard teams, paramedic Thomas Hennessy Jones was lowered into the hole to assess the man’s injuries and give initial treatment. 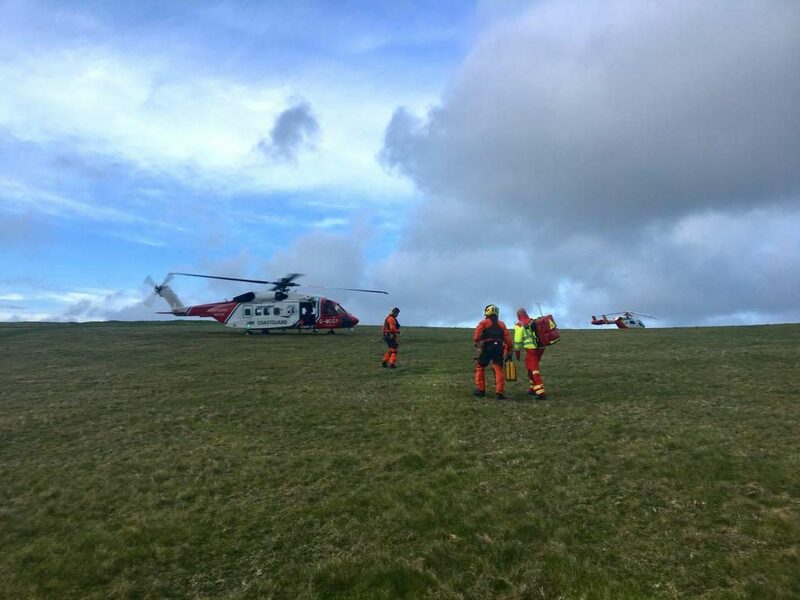 The man was then put onto a stretcher and winched up to the waiting Search and Rescue helicopter, with paramedic Mick also on board to continue the specialist medical treatment during the flight to hospital. The man is now in Derriford Hospital in Plymouth receiving treatment for his injuries. 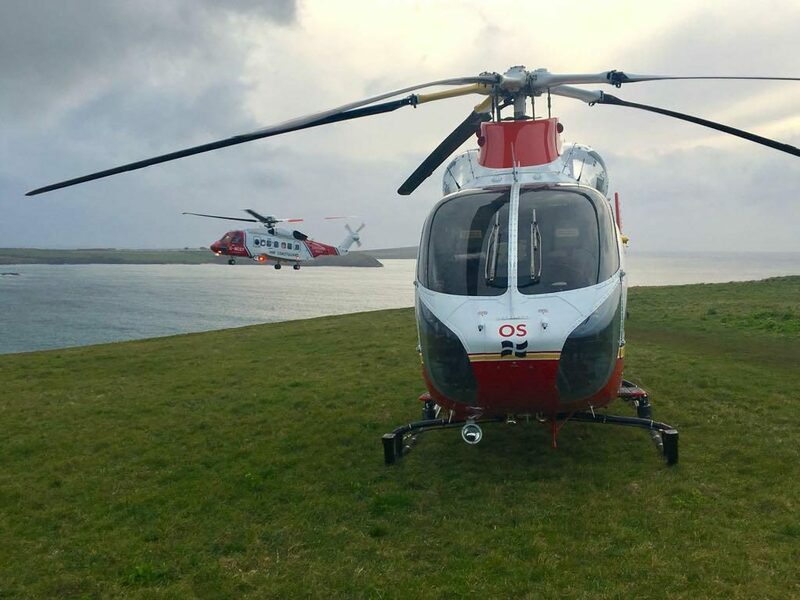 A fantastic show of teamwork among emergency services including Padstow and Newquay Coastguard teams and South Western Ambulance Service NHS Foundation Trust.